Directions: Take Rt. 281 north from Johnson City, which is west of Austin on Rt. 290 (you can also get to 281 on Rt. 71 about 25 miles west from Austin and go south on 281). From 281 turn onto Road 2766 east (right if coming from Johnson City; left if coming from Rt. 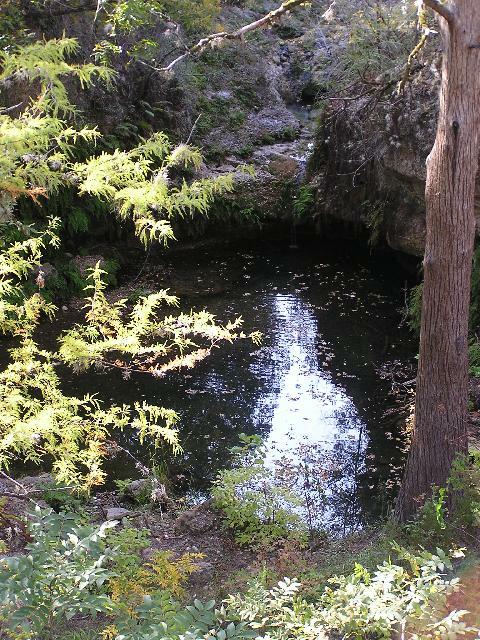 71) and go about 9 miles to Pedernales State Park (follow the signs). Get a map and directions at the Park Headquarters when you pay the entrance fee. 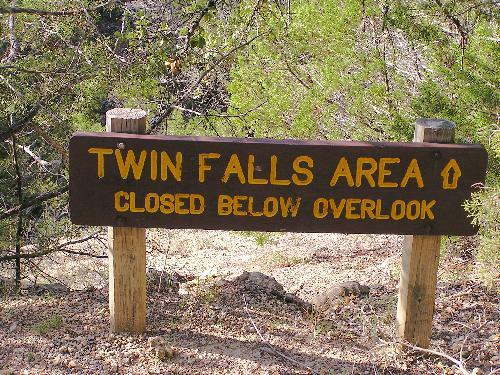 Notes: I went to Twin Falls in Texas November 2, 2006. I was in the park to see Pedernales Falls and found Twin Falls while I was there. It was hard to get a good photo because of the shadows on the falls. The second photo shows where the falls is located; however, the splash of white on the photo is not the waterfall but rather the glare of sunlight on the water below the falls. 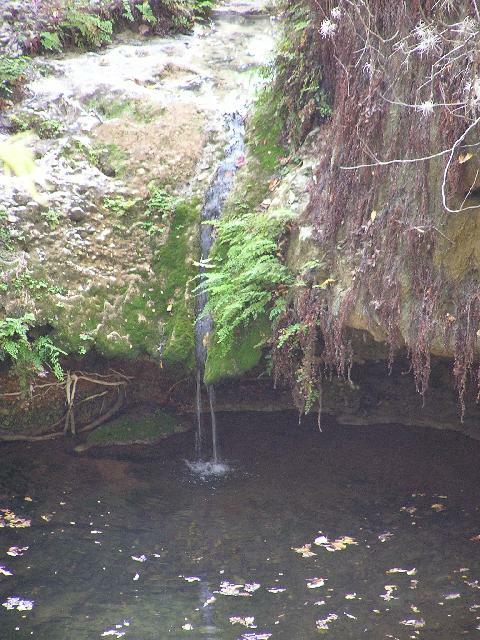 The last photo is a zoomed in shot of the trickle of water over the falls. I believe there is another falls above this one that makes the"twin" falls, but it was hard to see. Page last updated 02 Jan 2007.